One of the first things you’ll likely do when planning any sort of business strategy is profile your audience. Who are your target demographics? What are their shared interests? Where do they spend their time? When your audience is defined by the city they live in it can create a clearer picture of the branding they might respond to… or it can segregate, divert, or confuse your idea of your target market. Good ol’ perpetually sunny Brisbane is no exception to the rule, and given the city extends from the beachy east to the urban riverside to the rural outskirts, it can be hard to pinpoint what unites a Brisbane market. Today we’ve got three tips to help get your grounding with an audience of Brisbanites, and how this fits in with a campaign centred around animated explainer videos. Location, location, location. Not just the ham-fisted title of a British lifestyle show, but an important mantra for both property development and business visibility. Brisbane’s unique geography makes this idea even more pertinent to local businesses looking to be found. By land mass, we’re the 3rd largest city in Australia and 39th largest city in the world, meaning there’s an awful lot of ground to cover to reach your Brisbane audience. Driving distances from the deep south to the far north can be off-putting, and the less said about Brisbane’s current public transport system the better. Speaking of travelling, those who live in Brisbane are well aware of the class war that divides this river city. The never-ending (and always-pointless) animosity between the Northsiders and Southsiders is not just legendary but also a psychosomatic nuisance to travel. One would think we live in ancient times where the Brisbane River is a poisoned moat, given how religiously many stick to one side or the other for school, work, and yes, religion. Lord knows nobody really wants to brave the horrendous traffic of Story Bridge or pay the pesky tolls of the Go-Between. Interestingly there’s history here: back when Brisbane was comprised of two towns, North Brisbane would institute strong taxes on South Brisbane folks who crossed the river to bury their dead at Milton (Source: Bmag, of all places, so take or leave the legitimacy of this historical tidbit). What does this mean for brands trying to speak to a Brisbane audience? It means that having a strong online presence is more important than ever, so wherever your brand’s physical headquarters is you’re less likely to alienate the more distant areas of your sprawling Brisbanite audience. Use your explainer as a front page web visibility tool to improve your SEO and clickthrough rates. The geographical split also means that tailoring your message to local customers is more than just speaking to the Brisbane populous as a whole, but to the specific subculture of the location you’re targeting. The versatility of animation as a medium means that creating several versions of your branded video, slightly stylised to each audience, isn’t the hassle it could otherwise be. What this means is you are not speaking to an audience whose geographical identity is set in stone. Brisbanites have a versatile self-image that incorporates the upmarket urban style of capital city living, the environmentally-conscious ideals of living in a sprawling river city, and the cultural freedom of not being defined by any one particular landmark, ideal or background. As of 2011 almost 30% of Brisbane’s population was conceived overseas, with almost 18% speaking a language other than English at home. For these reasons, it’s important that your campaign be as versatile as your Brisbanite audience. Animated explainer videos are ideal in situations where you may have to dub the audio into multiple languages, or where you need a generalised character who can effectively represent any audience by being raceless, genderless, or even non-human. The other factor about Brisbane’s veritable lack of identity is that your audience is mouldable: and I mean that in the best way possible. There’s no accurate cliches for the way people talk or act, and there’s no prevailing, vaguely offensive cultural stereotype in the same way that ‘Melbournites are posh hipsters’, or ‘Sydneyites are city snobs’, or ‘Hobartites have way too many toes’. The viewers are yours to mould and if you want to establish your brand’s own cultural styling, there’s hardly a better audience than a flock of identity-hungry Brisbanites. If you’re from Brisbane, use your pre-existing knowledge to consider local events that might coincide with your target audience. If you’re not from the area, do your research on notable events and popular hangouts relevant to your market. And there’s lots of markets to consider. BigSound and Laneway Festival are two huge Brisbane events focussing on new indie music with a young adult demographic, while the Ekka and Riverfire are highly advertised family events, and annual BCEC events like Lifeline Bookfest and the Brisbane Caravan and Camping Show are capable of bringing in large amounts of older adults. Even if your marketing strategy doesn’t incorporate event advertising, knowing your audience’s likely whereabouts can help centre your campaign focus around an event that’s likely to trend. A lighthearted animated video that (not unreasonably) links your product to an upcoming local event can help keep your brand feel relevant in the eyes of local consumers who are searching for event information: ’10 ways BrandXYZ is like the State of Origin’ or ‘How to use ProductXYZ to find your way at Valley Fiesta’, for instance. Brisbane is the little-big city where all your friends seem to know each other before you’ve introduced them, everything is closed by 9pm, and the only certainty is that someone, at some point, will invite you to a BBQ at New Farm Park. Consider Brisbane’s differences from the other state capitals, and the individual culture of the suburbs you want to hone in on. 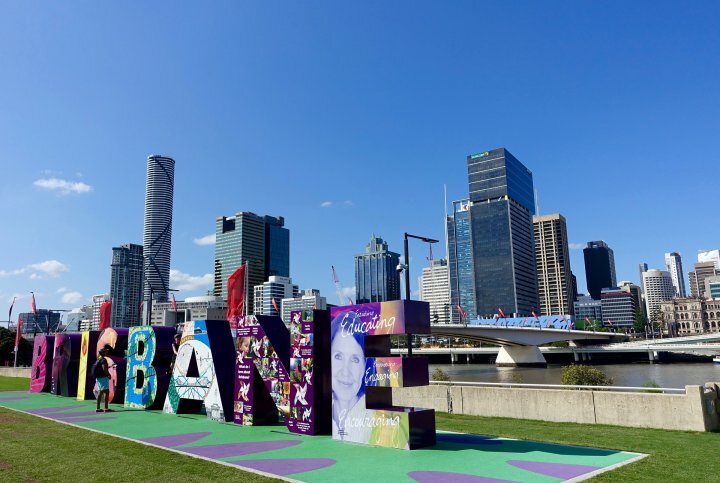 Above all, if you’re looking to pitch your brand to a Brisbane audience the best approach is always to do your research and speak the truth, because if there’s one other certainty about the river city, it’s that Brisbanites can smell insincerity from a mile away. — PREVIOUS POSTGood, Cheap, Fast: What should I choose when getting an explainer video made?